Thank you for stopping by today. It is a beautiful late summer day and I am lapping up every bit of sun knowing we are heading into autumn. 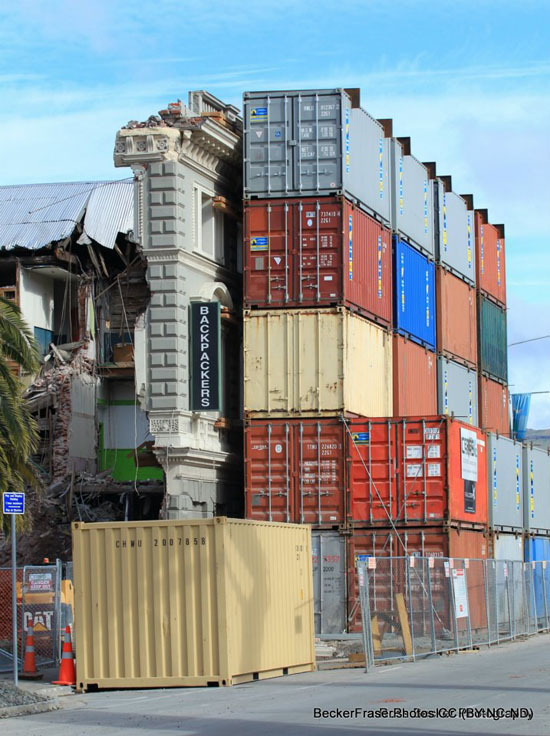 Christchurch as you may know has been devastated by many earthquakes over the last 18 months and although life has returned to normality for most people there are constant reminders of mother natures forces - one being shipping containers. 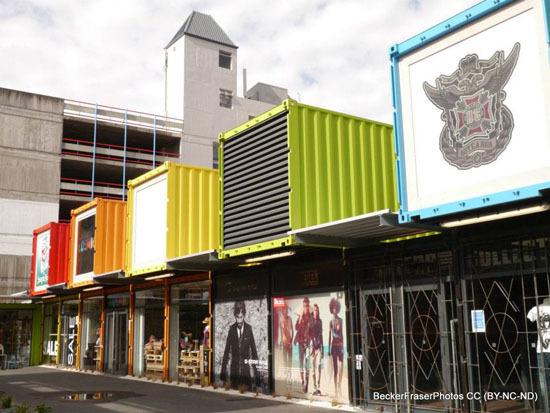 This might seems strange to people but shipping containers have been used around the city for many purposes. The city mall which was almost entirely destroyed has been turned into the first container mall in the world. Containers are also used to temporarily hold up historic buildings and protect roads agains rock fall. 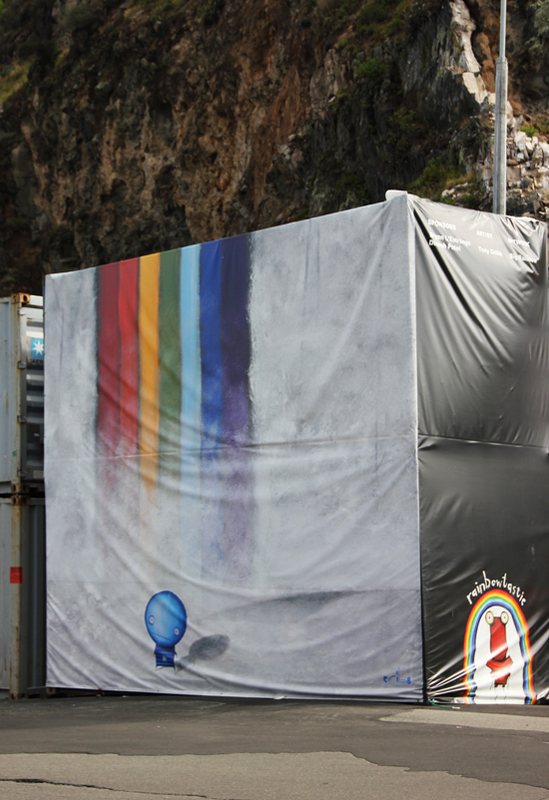 Obviously containers aren't a pretty sight so a clever initiative was started by local artists to turn them into giant art canvases. Below are just a few of the banners that are gracing containers around the city. I absolutely love them and hope to see many more being put up over the next coming months. I really love how Christchurch people are quick to turn tragedy into an opportunity to start something new and different . Art in any shape or form brightens our lives - and even more so in this case. 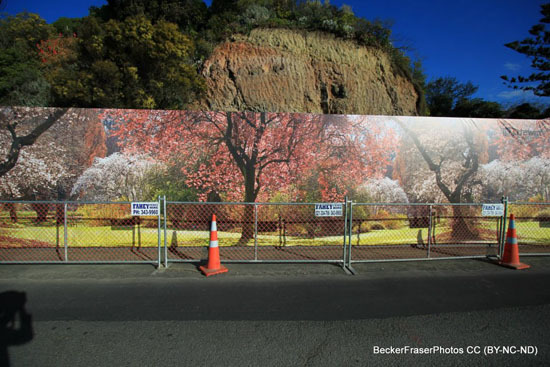 The first two and the last image are curtesy of Becker Fraser photos - for more of their official Christchurch EQ images you can visit their gallery here. I hope you all have a very relaxing weekend. I will be going on a big hunt for my easter decorations box which somehow seems to have gone missing after our big move. Your photos of the container art works are stunning. Can't wait to see them for myself ! Großartige Bilder! ... einfach beeindruckend mit welcher positiven Leichtigkeit in Neuseeland mit solchen Naturgewalten umgegangen wird. WOW!